Eucalyptus distillery near Bendigo. Lid of vat being placed in position after vat is filled. -, “Eucalyptus distillery near Bendigo. 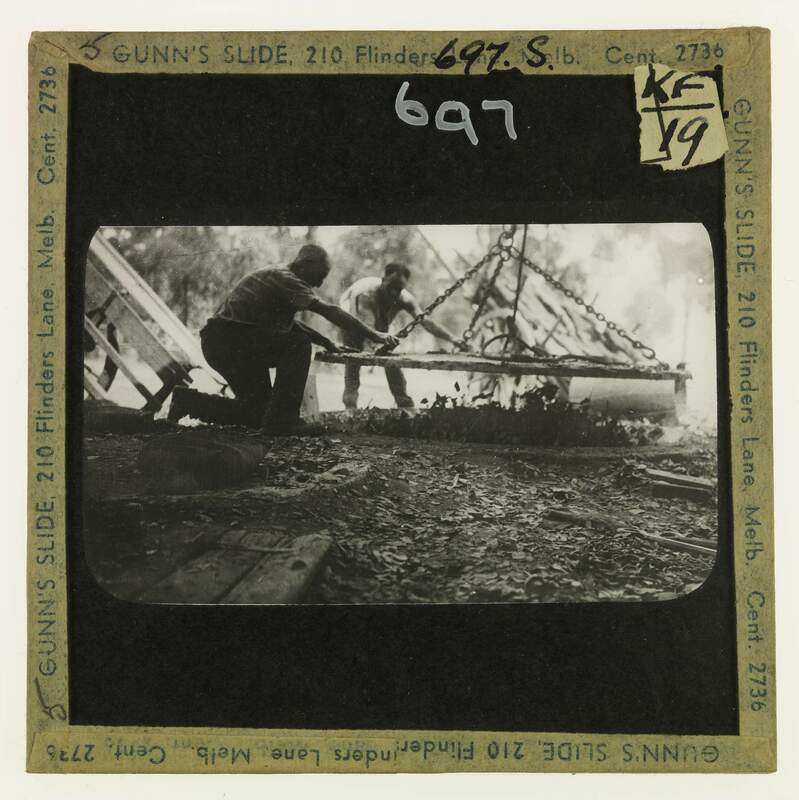 ,” Creswick Campus Historical Collection, accessed April 20, 2019, https://omeka.cloud.unimelb.edu.au/cchc/items/show/5591.